This Who Am I activity was an extension to these books to help with comprehension skills. I simply copied the covers of each of the books we ordered, laminated them, cut out and attached popsicle sticks to them. Next, I made up a list of questions. Things like: "which animal hibernates in the winter." OR "which animal is an amphibian." 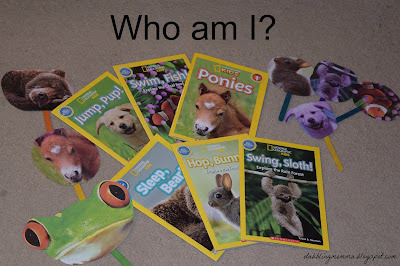 I made sure to ask questions about each of the animals in the series we have. 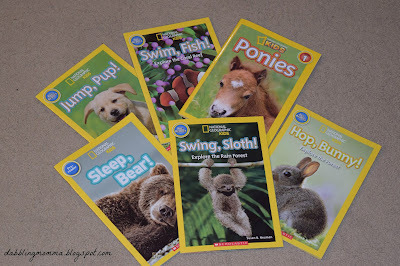 It really made my daughter think about the animals we read in each book, working on her comprehension skills. We also tied a craft into this activity by using the frog book and made our very own frog craft. 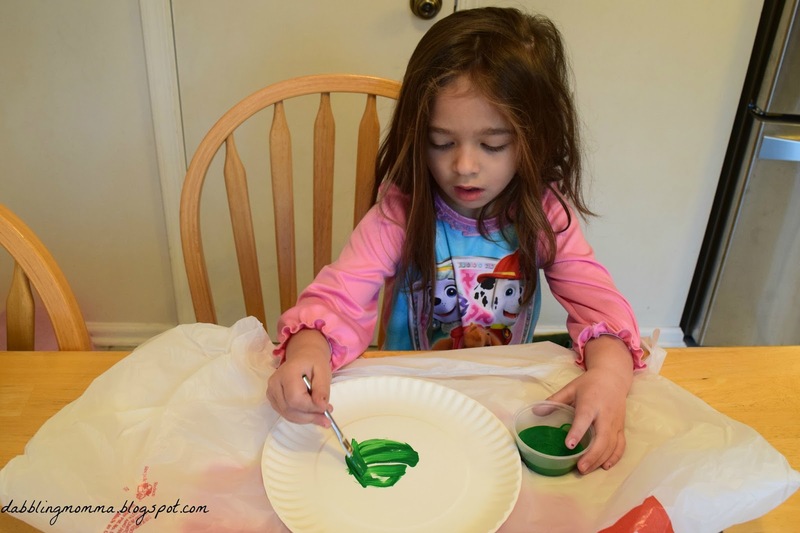 Start off by painting your plate green. While your paper plate is drying help your child trace their hands. Once the plate is completely dry, use some tape and attach your child's cut out hands to the bottom of the plate. This will be the frog's feet. 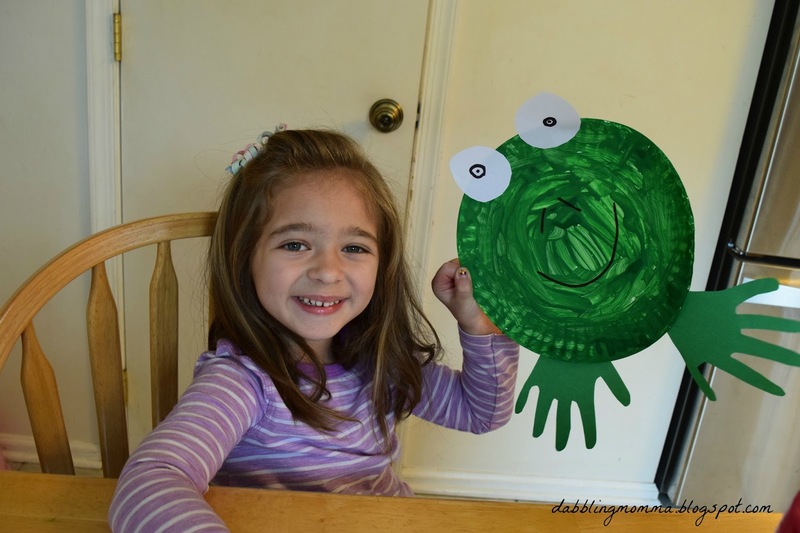 Next, cut out 2 circles from the white construction paper to serve as the frog's eyes and draw black dots in the center of each circle. Attach to the top of the paper plate. Take your black marker or black crayon and draw a smiley face. Finally, take your yarn, attach to the back of the paper plate and hang up. 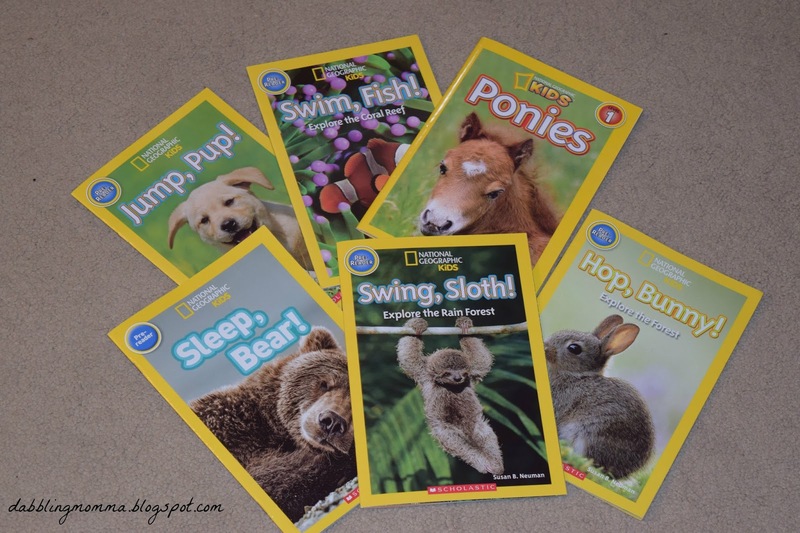 If you are looking for an educational book series for your pre-reader this National Geographic series is highly recommended. As a teacher, I know just how important it is to work on those non-fiction reading skills. I love this activity! What a fun way to practice comprehension skills. I need to get my hands on some of these books. Thanks, Tiffiny! We had alot of fun with it and we go back to it quite a bit. So cute! That's such a fun activity. My boys love non- fiction books. Thanks, Mother of 3! My daughter loved finding the correct animal and holding it up!